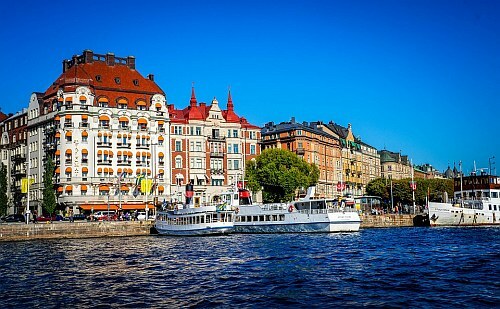 Icelandair has dropped the price of their late fall flights from Vancouver to Stockholm, Sweden down to $470 CAD roundtrip including taxes. It's also possible to visit *both* Iceland and Sweden on the same trip for $27 more. Of course, both countries will be pretty chilly (and getting dark) at this time. 2. Select your flights and click through to the Icelandair website. You can also find these on Momondo or Skyscanner for slightly less. You can play around with the middle date to give you more or less time in Iceland or Sweden. vancouver, yvr, flight deals, europe, northern europe, scandinavia, icelandair, western europe, reykjavík, iceland, kef, stockholm, sweden, arn, reykjavik and northern countries. 3 Responses to "Vancouver to Stockholm, Sweden - $470 CAD roundtrip including taxes | add Iceland for $27"
Booked! From November 12th to the 25th for just over $1500 for 3 and an infant. I booked through the Iceland Air website and it ended up cheaper as they don't charge credit card fees. You can also reserve a seat for no charge. Ended up being $479.56 all in.